There are probably more than a few journalists – and I used to be one of them — who scoff at the idea that they have to do any more than they’re currently doing to protect their sources. In fact I think for a lot of us Metadata sounds like a bit of a bore. I think we all reassure ourselves that our Police and intelligence services have a lot more important things to worry about than who is leaking to Ross Coulthart or any other journalist. But I am here to disabuse you of that notion. For at least 36 years, since 1979, Police, Government Departments and a plethora of other bodies, have been allowed to request – without a judicial warrant – the telecommunications records of journalists to chase the sources of leaked Government information that has appeared in their stories. Those records, known as Metadata, include phone bills, the phone numbers called and the numbers that are calling us, it includes the name and address of every subscriber behind those numbers, even location data – where the phone is located. It includes the email addresses and whoever we’ve been exchanging texts or messages with. What Metadata doesn’t include is the content of any communication. But it is the digital trail between you and any person you’re communicating with. And it’s an incredibly powerful weapon to hunt down whistleblowers who leak information. In this era of national security sensitivity there’s no recognition from many bureaucrats or politicians of any public interest in seeing some embarrassing secrets exposed. Journalists are a nuisance and their sources must be squashed. When The Australian laudably exposed massive criminality in our airport security in 2005 with a leaked Customs report, it was the Metadata that sank the newspaper’s alleged source, Customs Officer Alan Kessing. I knew a bit about this story because I’d written a couple of books about bikies and organised crime and it shocked me, from talking to bikie sources, that there were outlaw motorcycle gang members with serious criminal convictions who were still allowed to hold Airport Security Identification Cards that got them into secure airside areas. Alan Kessing was quite rightly concerned that this was an open invitation for gun and drug smuggling and his attempts to get changes inside Customs were rebuffed. Phone records were used at his trial to suggest he’d called News Ltd from a phone box very near his house. Now just notice there that his case probably didn’t even require requesting a journalist’s phone records at all. As I’m told is more commonly the case, the Feds targeted the suspected source and in doing so they linked him to the journalists he was allegedly speaking to. But there was no real national security secret that needed to be protected by attacking this alleged whistleblower – it was just that it was embarrassing to the Government that a report that highlighted security weaknesses had been leaked. What it was, was really about was a very public smack-down and warning to any bureaucrat who has the courage to blow the whistle by leaking to a journalist. Why did we ever allow such oppressive laws to be implemented that effectively gag important revelations in the public interest? The Australian’s stories based on that leaked report helped force an inquiry that led to a $220 million upgrade in airport security – something that should have been done in the first place if they’d listened to Mr Kessing. He copped a criminal conviction and a suspended jail sentence. Just how frequently this power to access metadata is used is extraordinary: In 2012 there were no less than 40 Government agencies that had made nearly 300,000 [293,501] individual requests for metadata in just that one year. Now we have to hope most of those requests were for solid law enforcement or security reasons but we don’t know how many of those hundreds of thousands of requests were in fact used to track leaks to journalists, because – surprise, surprise – the Government has said in response to FOI requests that’s a secret. It’s clearly a lot more than the handful that has been disingenuously suggested. The metadata issue seems to be getting traction because of this year’s changes to the law which now require such metadata to be stored for two years. And even though we’re told the new laws tighten just who can now access this sensitive data, the estimate is that about 2500 bureaucrats will still be able to sign off on accessing metadata – without a court warrant. If they want to search a professional journalist’s metadata in pursuit of a source then they will now have to seek a journalist information warrant from a judge or magistrate (or the Attorney-General if it’s ASIO). But even if they do go to a judge to get a journalist warrant, it’s not like the journalist is actually allowed to know about it to mount an argument against it. Incredibly, the whole process will be kept secret. The journalist will never know about it. A Government lawyer will supposedly argue the public interest in protecting the source on a journalist’s behalf. And, as I’ll explain, there’s a huge hole in these new laws anyway – they don’t stop incidental exposure of a journalist’s metadata if the authorities target the source and not the journalist. Sixteen years ago, I was given an alarming insight into just how often journalists are actually spied on using such powers. It changed forever how I operate as a journalist. Back then, in 1999, I was doing an investigation into the Australian Tax Office for the then Channel 9 Sunday Program. There was huge concern from many inside the ATO then, as there is now, that while your average taxpayer was chased for every dollar, the big end of town – Large Business & Industry or LBI as the Tax Office calls it – was often allowed to settle huge tax bills for considerably less than what the Taxman said was due. A lot of ATO staff were very concerned about it. They were even suggesting corruption and I was being leaked a lot of confidential documents. The turning point for me, my Metadata paranoid privacy moment, was when a very senior Tax Office manager insisted on meeting me in a Canberra hotel room. I thought he was absurdly paranoid because he wouldn’t let me call him and he wouldn’t phone me. His first contact with me, and all subsequent contact, was actually organised by ordinary post – still one of the safest ways to communicate with a journalist. A lot of you might have seen the Federal Police Commissioner’s statement to Parliament playing down the number of times that the AFP seeks a journalist’s metadata. He reassured a Parliamentary committee recently that in the last 18 months they had only received 13 referrals for leaks inquiries and he said that in the overwhelming majority of those cases there was no need to access journalists’ metadata. Storm in a teacup. Pack-up. Let’s go home. for years it had been almost a routine practice in the public service when there was any leak in the media for there to be a check on that journalist’s or the suspect public servant’s phone records to find out who had leaked the information. He also warned me that you could drive a truck through the Telecommunications Act laws that require phone companies to provide this data. The key test to justify accessing a journalist’s metadata was – and still is – the mere assertion that the information is ‘reasonably necessary’ for the ‘enforcement of the criminal law’. Now that makes it sound like it would have to be a pretty serious crime – maybe a leak of a document marked ‘confidential’ or ‘secret’ to justify asking for someone’s phone records, but you need to know that the law that criminalises leaking – S70 of the Federal Crimes Act – is a pathetic flabby catch-all joke. It forbids Commonwealth officers – public servants – from disclosing ‘certain information’. But that information doesn’t have to be stamped secret or confidential. It simply has to be ‘any fact or document in their knowledge or possession by virtue of having been a Commonwealth officer’. It doesn’t get much broader than that. That covers pretty much anything on their desk – including the office Christmas party invitation. But my source had left the best till last. What truly woke me up to this threat was that he’d brought along my metadata – my private phone records. To educate me about the risks of metadata he’d asked for mine. It detailed all my calls out and all the calls in on my phone. Sources I’d spoken to in several stories over the previous months were clearly identified by their subscriber name, number and address on that list. There in front me of was evidence that could send several public servants to jail or at least lose them their jobs. What shocked me most of all though was the cultural attitude that his request for that paperwork revealed; for this senior public servant – mercifully, a friendly source – he knew that the accountability controls on the ballooning number of metadata requests were such a joke, they were so pathetic, that he’d obtained my phone records knowing there would be absolutely no blow-back for him. And there wasn’t, even after I broadcast a story using information he’d leaked to me. I’d like to be able to say that Australia is the bad apple among Western democracies with its dogged pursuit of whistleblowers through metadata but truth is, it’s happening everywhere. What we’re seeing is the revenge of the national security nerds, who seem to have nothing but contempt for journalistic scrutiny of what they do, and the evidence suggests Government’s wrapping itself in the flag with questionable claims of national security to try to shut down often legitimate journalistic investigation of Government wrongdoing. 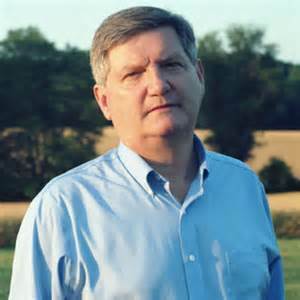 James Risen, one of the New York Times’ top national security reporters (photo above), published a book eight years ago exposing a bungled attempt by the CIA to undermine Iran’s nuclear weapons program by having a Russian scientist pass intentionally flawed blueprints. Risen’s alleged source, a CIA officer called Jeffrey Sterling, was recently convicted on charges that may send him to jail for 25 years for leaking the story. Both Risen and Sterling claim that the CIA operation was in fact botched and that it may have actually helped Iran build a bomb – so there was strong public interest in seeing this story published. But it embarrassed the CIA and for that they’ve pursued Sterling relentlessly. The only evidence in the end that nailed him was the metadata proving he had been in touch with the New York Times. The case is very disturbing because it underlines how by using metadata public servants can now be convicted with no solid proof at all that they ever actually leaked classified information. Former Customs Officer Alan Kessing has always maintained that someone else leaked the Customs report to the Australian but he too was convicted on metadata. I suspect the Metadata laws are part of an opportunistic push by our police and intelligence services to use the current national security crisis to try to shut the door on journalistic investigation into their activities. After this week’s executions in Indonesia, if ever there was a time for investigating the activities of the Federal Police, this is it. It is vitally important journalists do investigate the work our spies and Police do – it’s in the public interest. At the moment, our overseas spy service, ASIS, is doing all it can to suppress media reporting on an Australian spying operation in East Timor in 2004: The whistleblower, a highly decorated ASIS manager, was director of all technical operations for ASIS. He was reportedly ordered to bug Timorese ministerial offices. Now he felt the bugging was immoral and wrong because it didn’t serve Australia’s national interest, instead it served the commercial interests of large corporations trying to secure their slice of Timor’s oil reserves. For the moment that ASIS whistleblower has been muzzled with threats of prosecution and now there’s a new section in the ASIO Act, S35P which outlaws any disclosure of information relating to a so-called special intelligence operation – and all they need to do to prove the offence is to show that the person disclosing the information is reckless as to its secrecy – which means essentially that you’d have to have Government approval to reveal anything. 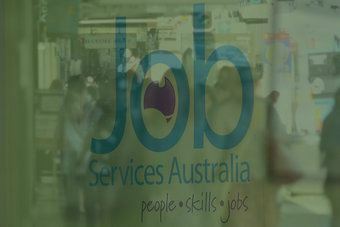 In February my colleague Linton Besser at ABC’s Four Corners used leaked Government documents to prove massive frauds inside a privatised job agency doing the work of what used to be the Commonwealth Employment Service. Now to prove the fraud Linton had to show jobseekers leaked paperwork showing them what the job agency claimed it had done to help that person find work. Jobseeker after jobseeker alleged their paperwork was forged. One whistleblower estimated as much as 80% of these claims were frauds. By any measure, this was an important story that taxpayers have a right to know about. So what’s the Government’s reaction: just this week Linton and Four Corners have learned the AFP is now investigating the leak of that information, using a little known section of the Social Security Administration Act that makes it an offence for a person to knowingly use protected information. The only reason they’d do this is to intimidate the whistleblowers. Why is that in the public interest – Four Corners and their whistleblower have probably saved taxpayers millions. What the Government doesn’t seem to realise is that sooner or later truth will out anyway. It’s easier now to steal entire databases and to leak those rather than to go public as a whistleblower. I suspect Government bullying with laws like this may actually prompt sources to lay low but to instead recklessly leak data as with Chelsea Manning’s drop of an entire diplomatic cables database to Wikileaks or Edward Snowden’s equally massive digital download of secrets from the National Security Agency. Even the most highly secure data can be breached by folly — which is why every Australian should be asking why we in heaven’s name we are trusting our Government with massively increased powers to store our metadata. Think about that. The US believes that America has the power to kill people based solely on an analysis of their metadata. Oh well, at least the Americans never make mistakes. And neither do our Federal Police. Oh, except for when they raided our office at Channel Seven in the search for non-existent payments to the Corby family. Or when they imprisoned Dr Mohammed Haneef (photo above) in the totally mistaken belief he was a terrorist. 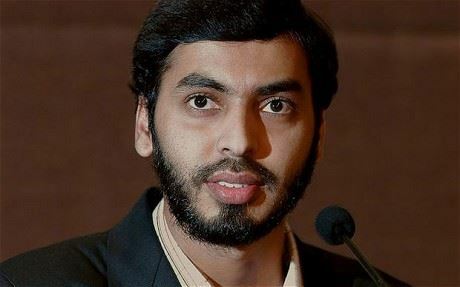 It was actually metadata – information on Dr Haneef’s phone SIM card that he’d left with a relative in Britain – which led the AFP and Scotland Yard to the mistaken conclusion that Dr Haneef had aided the Glasgow Airport terror attack in 2007. So how do we protect ourselves against Government surveillance of our metadata? It’s almost impossible. The best way is to ensure that ‘first contact’ with a sensitive Government source is always off the grid. Don’t use your phone, email, sms, messaging or in fact any kind of digital communication to make contact. Educate potential whistleblowers through your website that they can be tracked through their metadata – suggest that they write you a letter instead. And don’t carry your phone with you when you can go to see them because it’s breathtakingly easy to ‘geo-locate’ a phone and show that a journalist and a source were in the same place at the same time. One of the biggest problems is this ‘first contact’ from a potential source – because so many of them ring us out of the blue. If they contact me by phone or email now though I now warn them they’re compromised. I had a bloke ring me some time back who worked in an immigration detention centre. He had a harrowing documented story he wanted to leak to me of young boys being raped by men held in immigration detention. I felt ethically obliged to warn him that no matter what I did to protect him, the record of his call to me would now be stored on a database and lead Government investigators back to him. He chose not to go public. I can’t blame him – and that’s why metadata is killing investigative journalism. One secure messaging app I use – and I hear Malcolm Turnbull uses it as well – is Wickr. It’s a free encrypted messaging app that you and a source can install on your phone or computer. The guarantee is that it has no metadata – it stores no data on its users at all, and it has a built in file shredder that erases all communications after a set time, normally one day. There’s a few of these encrypted apps out there but be warned: all of the standard messaging systems: Facebook, Skype, IM, Snapchat, Twitter, email – all their metadata is being kept and will lead investigators to your source if you use them. I also use online emails as dead-letter drops for sources but to hide the metadata trail from my computer to that site I also use a free easily downloadable programme called TOR – the TOR Browser Bundle. It’s a program that gives you a way of surfing the web without leaving metadata. Edward Snowden used TOR to send the NSA’s secrets to the Washington Post and Guardian newspapers. The bottom line is that no solution will ever be secure unless it’s a face-to-face meeting with no digital traces for the spooks to follow. Be paranoid. I just want to leave you tonight with something that’s going to make you even more paranoid. Someone here in Sydney is hacking into your mobile phone on a routine basis. This is a Cryptophone. It uses high-end encryption to protect cell phone calls from spying, and a lot of media companies and corporations are now using these in trouble spots overseas where they don’t trust local phone companies not to listen in. But someone is snooping on our supposedly encrypted phone calls here in Australia. What this Cryptophone also does is alert me when there’s a rogue cell tower – or IMSI catcher – in the area. These rogue towers are spying devices used (we hope legally under warrant) by police and intelligence services – and illegally by crooks and unscrupulous commercial spies – and what these rogue towers do is catch any cell phone in the vicinity and force that phone to route its data unencrypted through the rogue cell tower. Now there’s a lot I would like to tell you about what I’ve discovered in Sydney about the location and frequency of these rogue cell towers. On one night a week ago I was warned numerous times by alerts on this phone that a rogue tower – an IMSI catcher – was trying to hack into my phone at different locations right here in Sydney. The places I found them shocked me. But the only reason I know about it is because this technology tells me – a normal mobile user wouldn’t think there was anything wrong. The obvious question is: Who is spying on us with these rogue cell towers, what legal basis do they have for doing it, and how widespread is it? Now I’d love to tell you more but of course the new S35P of the ASIO Act says I’m committing an offence if I recklessly disclose information relating to a special intelligence operation. If I tell you any more I risk going to jail for ten years because I don’t know – and I have no way of finding out – if this cell phone spying is part of an authorised special intelligence operation. So – for the moment – that’s one story I’m not going to tell…but watch this space!